This story was sponsored by a Cold Spring FRIEND OF THE LIBRARY business. Jerry's Liquor Lot, a part of the Cold Spring community for over 17 years, is proud to support the efforts of the Cold Spring Friends Of The Library. 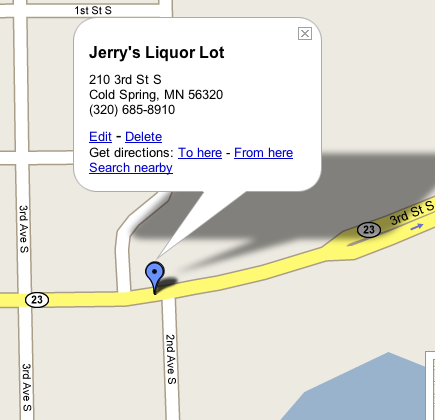 Jerry's Liquor Lot is your local source for Gluek Brewery Ice Cold Beer, your favorite wines and spirits for all occasions.